Halldor Hermannsson served as the Curator of the Fiske Icelandic Collection at the Cornell University Library from 1905 to 1948. 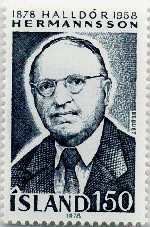 He was honored by Iceland on a postage stamp in 1978. 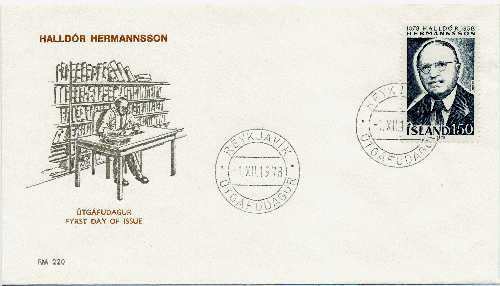 A first day cover for the Hermannsson stamp.